Morticia, Gomez and Cousin Itt. 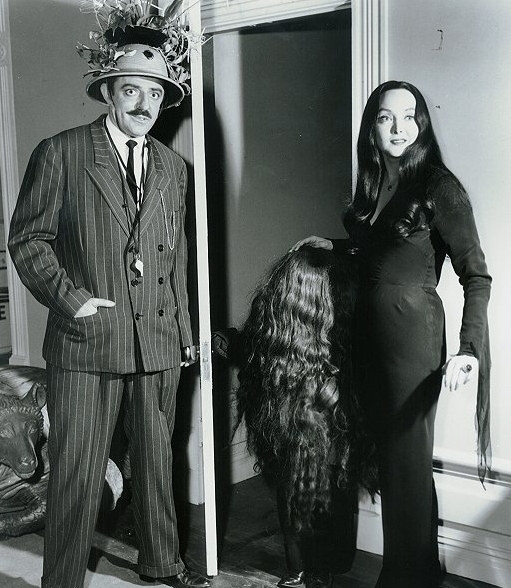 Morticia, Gomez and Cousin Itt from the original tv show.. Wallpaper and background images in the Addams Family club tagged: the addams family morticia carolyn jones gomez john astin cousin itt. This Addams Family photo might contain gut gekleidete person, anzug, hosenanzug, pantsuit, geschäftsanzug, business-anzug, box mantel, kastenmantel, and box-mantel. This was probs taken behind the scenes of that first episode with cousin Itt. Thats pretty cool. I think so too. I love seeing behind the scenes!